Increasing Difficulty In Reaching Decision Makers - It comes as no surprise to anyone in sales that reaching decision makers today is harder than ever before. 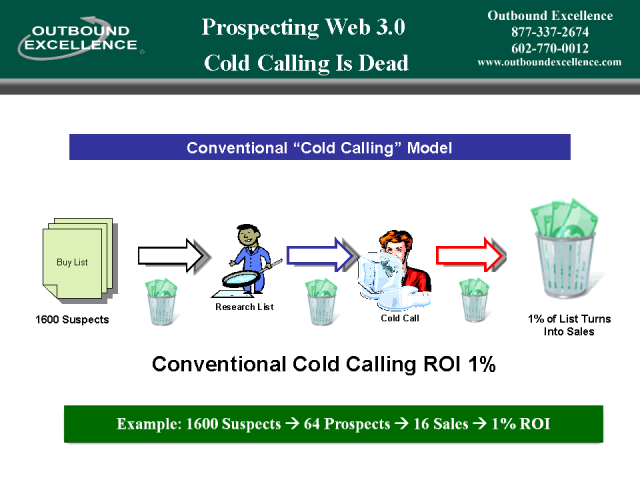 Cold Calling down lists trying to reach C-Level decision makers isn't profitable anymore. You know that. Having a hot new product isn't enough. You still need to get in front of the people that have the authority to make buying decisions about the products and services you sell. The good news is that there are a number of Web 3.0 / Social Media tools that have proven their effectiveness in Prospecting for New Business without Cold Calling. We'll show you this year’s Best Practices!